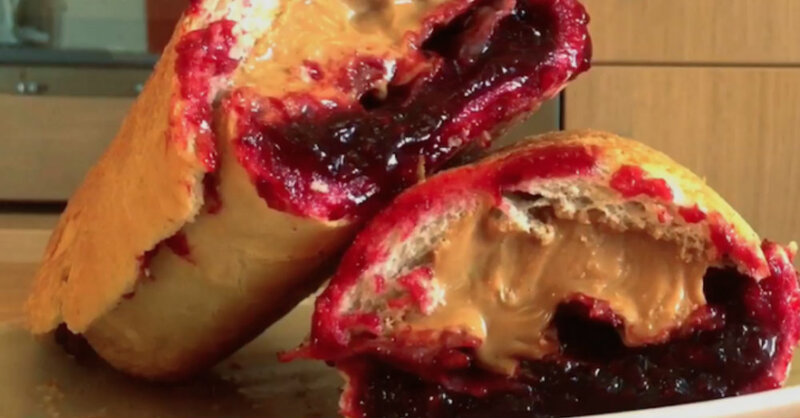 You can’t go wrong with a peanut butter and jelly sandwich, but if you’re feeling decadent you’ll want to give this PB&J bacon loaf (aka the “Fool’s Gold Loaf”) a try. If you’re up to the challenge, follow the quick-and-easy recipe from our friends at Spoon University. Cover the bread in an even layer of butter. Bake bread for 10-15 minutes or until golden brown. Fry the bacon in a frying pan on medium heat to desired crispiness. Remove bread from oven and cut in half. Hollow out the halves of the loaf, leaving a shell of crust. Fill the halves with the peanut butter and jelly. Place bacon on one of the halves and put the halves together.